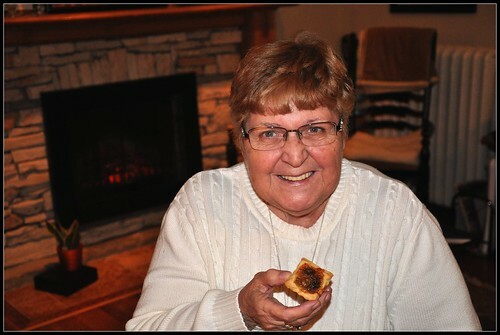 Sweet Sadie's Baking: Better butter butter Tarts..We are Canadian! 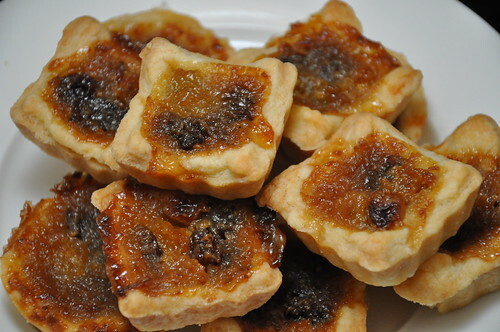 Better butter butter Tarts..We are Canadian! 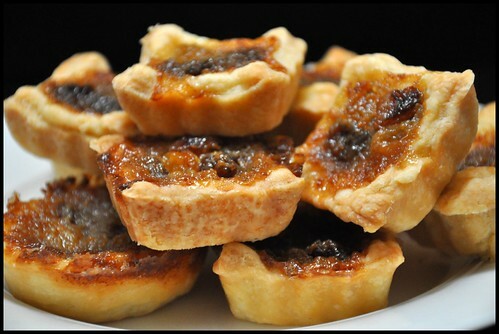 Did you know that butter tarts are Canadian? They consist of pastry shells that are filled with a sweet mixture of butter, brown sugar and eggs. The perfect butter tart...well, that is a matter of opinion. First the crust - it is usually firmer and not the typical flaky crust. It is a Pate Brisee, which is a short crust pastry. Then the filling...do you like it firm or runny? Sometimes there are nuts and sometimes raisins...or plain. Camera Guy makes faces when there are raisins....He really doesn't like them! Fern, Camera Guy's mom, loved them! Come back to visit us Fern and I will bake you more! We were talking about Canadian Awesome moments and came up with a few...what are your Canadian awesome moments? It will yeild enough filling for 24 butter tarts. 1 cup cold butter, cut into 1/2 inch pieces. 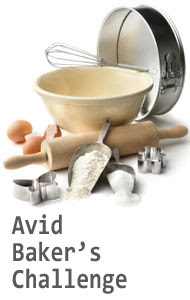 In a food processor combine butter , flour, sugar and salt and process or combine with a pastry cutter. Add water and combine just until dough holds together. 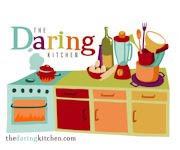 Using an electric mixer or whisk, combine eggs , sugar, corn syrup, vinegar, vanilla extract and salt. Beat until well combined, but not frothy. until the filling is just set and the crust is golden. Make sure to keep an eye on them. Carefully pour the mixture into each muffin cup, being careful not to fill them more than three-quarters of the way to the top (if you fill them more than that they may overflow). Put the muffin tin on a baking tray just in case there are spills. Remove from the oven and let cool completely, well not completely-you want them a liitle warm....now this is an awesome Canadian moment. We had Japanese students live with us several years ago. Both were absolutely crazy over butter tarts, each took about six dozen home. I think with yours they'd take more. Death At Your Door - a weekly webcomic about Death trying to live a life. buy real youtube subscribers This is the latest solution for improving your Google authority. To understand more keep studying this article.